StackTech is an annual cross-government conference where Digital, Data and Technology professionals meet to discuss technical challenges. This year’s core themes were emerging technologies and cloud platforms. We covered these subject with keynotes, panel discussions and traditional unconference sessions. 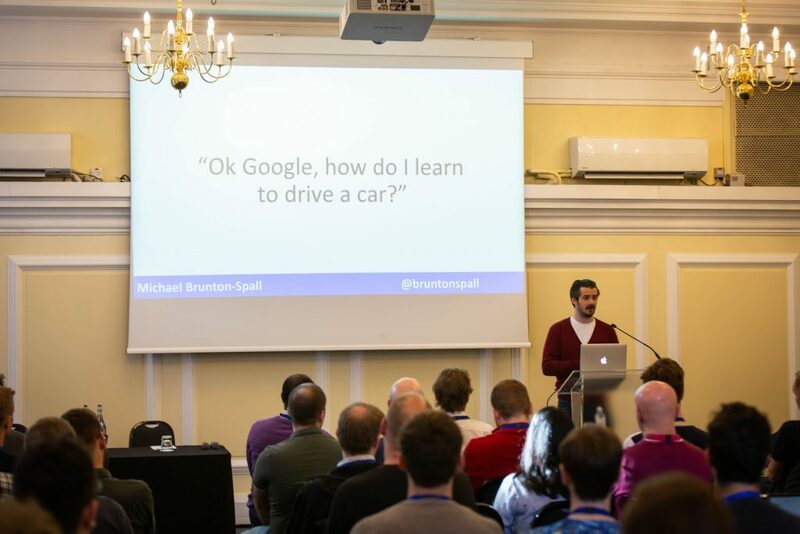 Former GDS technologist Michael Brunton-Spall gave the opening StackTech 4 keynote. He reminded attendees that when it comes to emerging technologies, it's easy to get excited about their possible applications. However, it's necessary to focus on realistic solutions to solve problems. Government organisations are already experimenting with emerging technologies. HM Land Registry’s Digital Street project is exploring using blockchain to improve land registration and conveyancing. Michael suggested blockchain might not solve every problem and highlighted guidance from the National Institute of Standards and Technology (NIST) in the United States. The flow diagram (page 42 of the PDF) is a helpful sense check as to whether using blockchain in your solution is worth pursuing. Nearly 10% of UK households have an Amazon Alexa device, and Google voice searches are on the rise around the world. Within government, the GOV.UK team is working to optimise content to work with existing voice assistants to meet user needs and make government information more accessible. However, there are a few challenges when designing services to use voice assistants. Popular commercial voice assistants all collect data using different sources of information. For example, you can use an Android device to say: “OK Google, when can I start driving”, and the assistant will read out information from GOV.UK. However, as Amazon’s Alexa uses the Bing search engine it works in a different way and will not deliver the same result. At GOV.UK we are working to deliver a consistent user experience. There is uncertainty about how users in areas with poor connectivity could use voice services. For this reason, GDS recognises the importance of providing a range of services online and offline so everyone has access. Training AI to make decisions and recommendations without bias is a huge technical challenge that industry is working to overcome. Michael gave the example of Amazon, which stopped using an internal AI to recruit employees because the tool was biased against female candidates. This challenge also applies to public sector organisations using AI. For example, we would not want police systems to rely on an AI that is biased towards particular demographics. We held multiple unconference sessions in the afternoon. These covered topics from data sharing in government to creating services that are easier to manage and maintain. Here’s a summary of the biggest talking points from the sessions. How can we improve code sharing? Although many government departments work in the open, developers are working to build services as quickly as possible. To avoid duplicating existing work it would be useful to find ways to share components across government and, provide information on how to use them. How can we make it easier to manage services? Participants debated the challenges to making government systems easier to manage and maintain. Organisations may find that the structure of existing finance models, teams and cultures may not help in the creation of sustainable services and ways of working. The technologists acknowledged it sometimes made more sense to improve existing services rather than build new ones. Tied to this was the view that bringing every aspect of a project in-house can create technical challenges and increase costs. 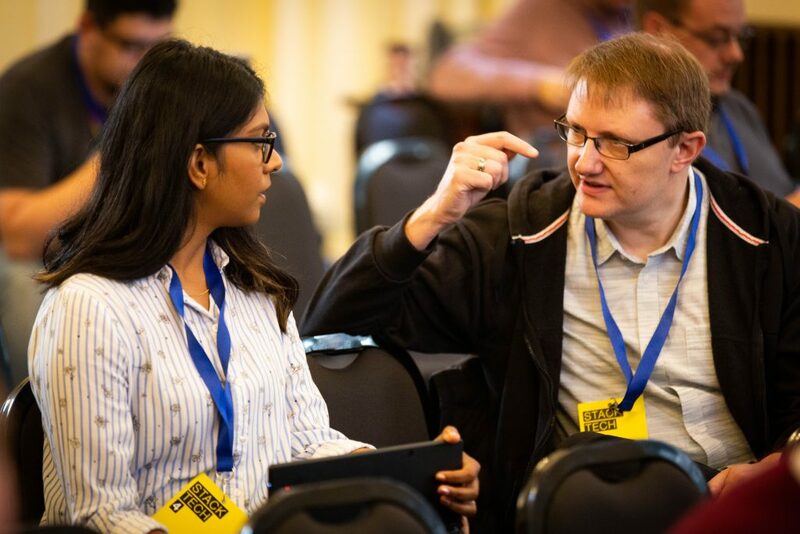 There was also discussion about career pathways and the steps that the Civil Service should take to make it easier for technologists to get into senior positions. 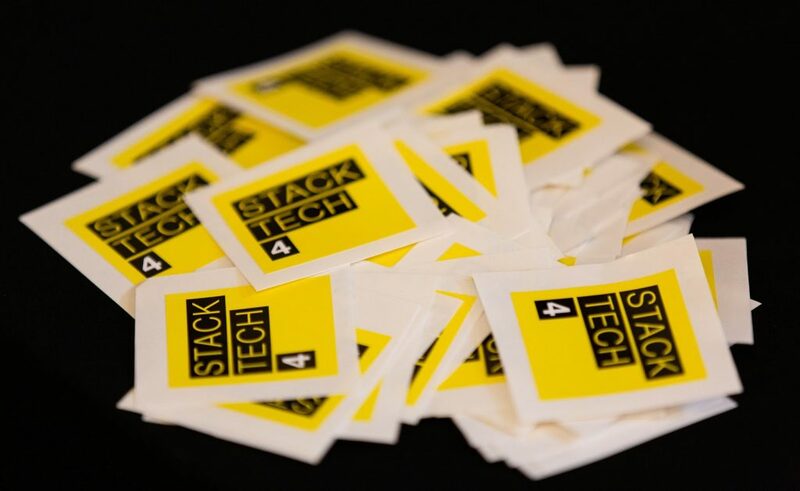 If you have any thoughts on the topics discussed at StackTech 4, please leave a comment. Follow the Technology in government blog for event roundups and more.